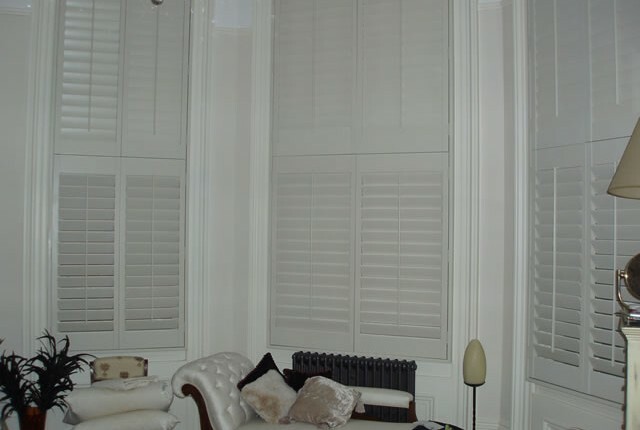 Hurst Blinds can provide a full range of made to measure, specially crafted, Plantation Shutters for any type of installation, from the traditional and bay window to the ever popular shaped and angled windows of modern builds. 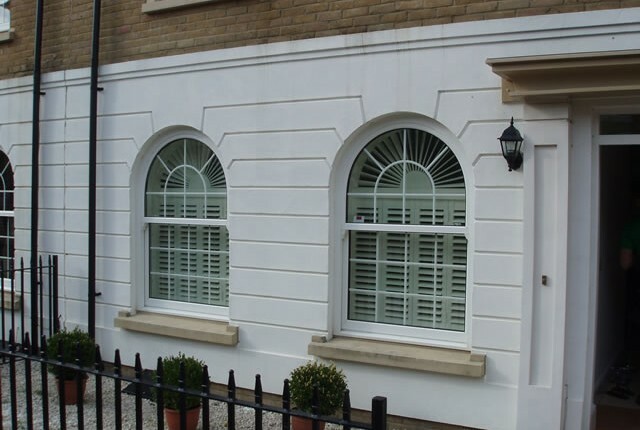 They will not only transform the inner and outer appearance of your home but they also have other benefits such as optimum light and uv control, privacy, security and they are very easy to maintain. They provide sound insulation and are extremely energy efficient, as they add and extra layer to the window area, keeping you cool in the summer and warm in the winter. 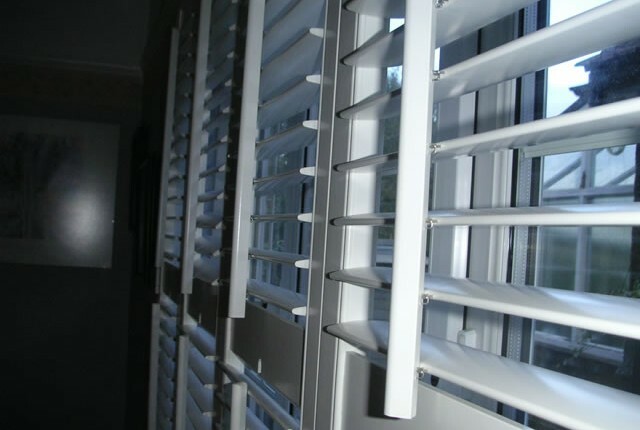 Plantation shutters are a safe by design, child safe window covering. 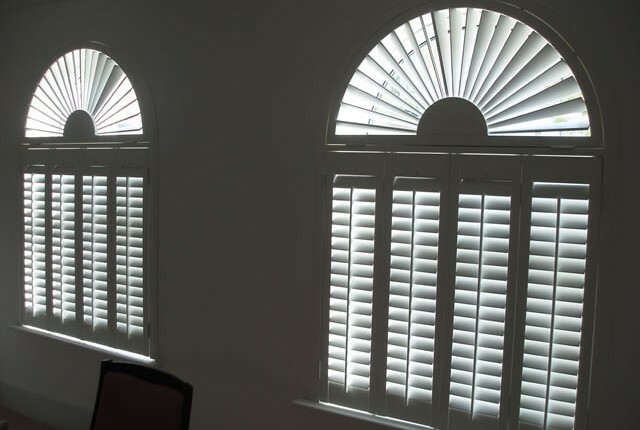 Plantation Shutters are not only a beautiful and desired window covering they are a permanent fixture and could be an investment for your home that could help increase the price of your property. 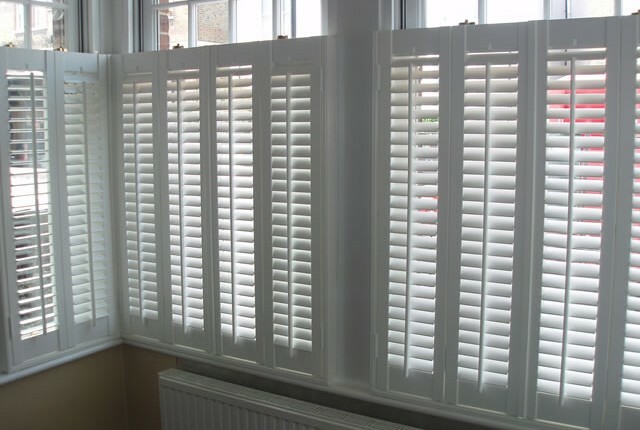 Hurst Blinds are able to offer a fantastic 5 year guarantee on Plantation Shutters! 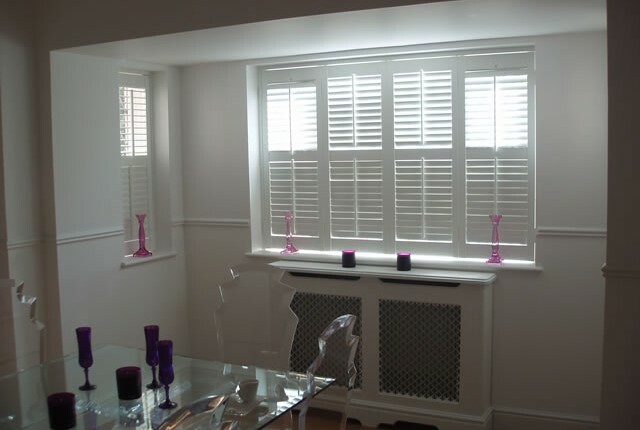 Please call Hurst Blinds 01202 683300 and we will arrange for our specialist shutter expert to visit you and provide a no obligation quotation. Martin and his partner have sourced and fitted several blinds for my properties and office and I’m delighted every time. Careful and considerate measuring, quoting and fitting means I’ve recommended Hurst Blinds to any interested parties and shall continue to put business their way. Nice people to do business with. Hurst Blinds got it just right. Adding Wooden Venetian Blinds to our property was a big investment for us. We were worried about how they may turn out but with Hurst Blinds advice they got it spot on. Thank you again. Love my new wooden blinds, look perfect in our home, matching all the furniture and adding a pleasant atmosphere to our rooms. Brilliant investment, they look great. Definitely added an extra dimension to our office. Thanks Hurst Blinds.